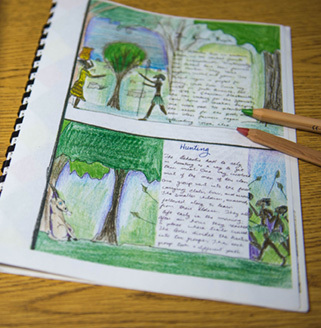 At Linden Waldorf School, we take a decidedly different approach to education. As the world speeds up, we purposefully slow our students' educational experience, allowing their natural curiosity to flourish. 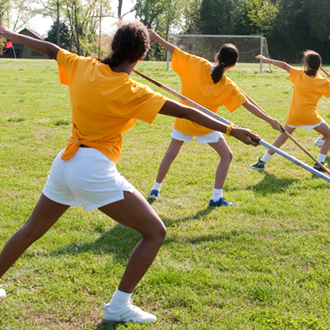 Our rigorous core subjects are intertwined with rich play, time in nature, practical arts, and a vibrant arts education. The “extras” at Linden show up as positive traits, common in our graduates, but increasingly uncommon in today's fast-paced society. Our graduates are recognized by high schools and colleges as well-rounded, critical thinkers, imaginative and strong in body, mind and spirit. The Waldorf approach strives to educate the whole child who, as an adult, will be capable of imparting a sense of purpose and place in the whole world and uniquely suited to meeting the challenges of an unpredictable future. 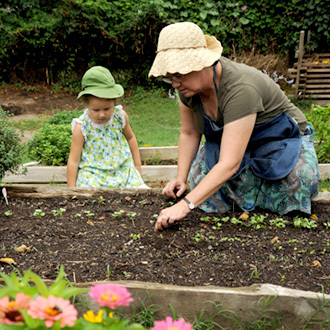 If you’re looking for something different for your child, perhaps Waldorf Education is for you. Click to learn about opportunities to visit our campus and discover how Linden educates the head, heart, and hands. It's when young minds are freshest that they focus best. That's why, each morning​ the class teacher begins with a two-hour ​m​​ain lesson block ​dedicated to a core subject. Thus, the rhythm of the day begins with the work that requires the most attention, and each academic subject can receive a full measure of ​attention​ over the course of the year. 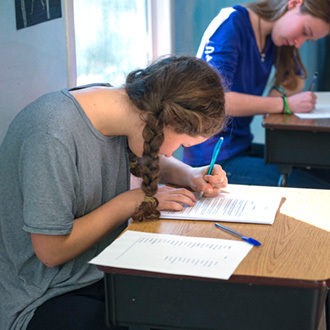 The​teacher has the time to enter each subject in depth and approach it in a variety of ways, enlivening​ each topic with poetry, drawing, painting, modeling and drama. Once an academic topic has been fully explored​--usually in ​3​ to 6 weeks​--​a new m​​ain lesson block is introduced. Subjects that require regular repetition in shorter lessons and are more social in nature occupy the later part of the morning and the afternoon. Scaffolding the main lesson are handwork and woodworking, Mandarin and Spanish, strings and music, eurythmy and movement, and more—all taught by specially trained teachers in a wonderful coordination and harmony of subject material throughout the curriculum. Thus, intellectual learning is always combined with artistic, rhythmical,​ and practical work. View our curriculum. At Linden Waldorf School, we believe children come into this world perfectly suited to learn and Waldorf Education allows what’s already inside them to flourish and grow. We meet them where they are developmentally and help them journey forward, while carefully protecting and preserving their childhood. Our method educates the whole child through a rich and meaningful, age-related curriculum devoting lots of time to play, being out in nature, incorporating a vibrant arts curriculum, and supporting core academics with integrated subject classes. This approach to learning gives depth and meaning to the mind and the spirit of the developing child. Come see Waldorf Education in action and discover what makes Waldorf Education the fastest growing, independent school movement in the world.  Click to learn about opportunities to visit our campus at one of our upcoming Windows On Waldorf tours. It's when young minds are freshest that they focus best. That's why, each morning​ the class teacher begins with a two-hour ​m​​ain lesson block ​dedicated to a core subject. Thus, the rhythm of the day begins with the work that requires the most attention, and each academic subject can receive a full measure of ​attention​ over the course of the year. The​teacher has the time to enter each subject in depth and approach it in a variety of ways, enlivening​ each topic with poetry, drawing, painting, modeling and drama. Once an academic topic has been fully explored​--usually in ​3​ to 6 weeks​--​a new m​​ain lesson block is introduced. Subjects that require regular repetition in shorter lessons and are more social in nature occupy the later part of the morning and the afternoon. Scaffolding the main lesson are handwork and woodworking, Mandarin and Spanish, strings and music, eurythmy and movement, and more—all taught by specially trained teachers in a wonderful coordination and harmony of subject material throughout the curriculum. Thus, intellectual learning is always combined with artistic, rhythmical,​ and practical work. Click here to see how our curriculum works together. 2019-2020 Online applications for new families are open now. 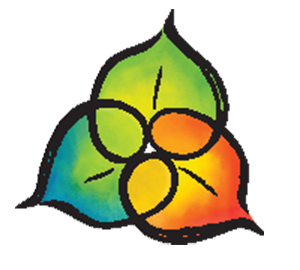 Buttercup Playgroup--An Introduction to Waldorf education for young children and their parents or caregivers. June 2019 Our Summer Camp offers four fun-filled sessions for age 4 to rising 5th grade. 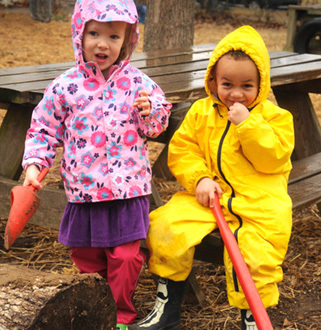 Give the gift of healthy, outdoor play and screen-free activities at Tennessee's only Waldorf school. Register today. Music plays a large role in Waldorf education. Watch here. Waldorf In a Nutshell, a Waldorf play expert discusses basics. Waldorf Education in two videos: Part 1 & Part 2.
. . . Been inspired to be lifelong learners!